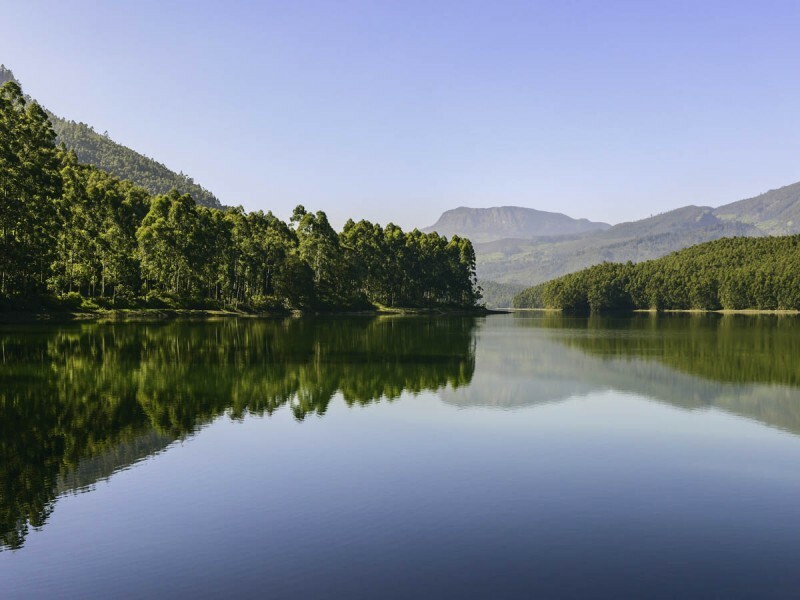 Hidden Gems of Kerala Tour Package - 4D3N - Guruvayur, Alappuzha, Kovalam, Thiruvananthapuram Kerala also known as the “God’s Own Country”, is an attractive state situated at the southern corner of India offers a vacation filled with tranquillity. One can explore the mystical land of Kerala and have a beautiful, renewing and a satisfying experience. Kerala Tour Package 4D3N Starting from 18,500.00 for two people.Destinations Include Kochi, Thrissur, Guruvayur, Alappuzha, Kovalam, Thiruvananthapuram Includes Transfer from Kochi to Thiruvananthapuram 3 Star Accommodation, Breakfast, Sightseeing. Itinerary for Hidden Gems of Kerala Tour Package - 4D3N Day 1 - Kochi Tourist Spots/Places Guruvayur Temple Anathavalam Day 2 – Kochi to Alappuzha Tourist Spots/Places in Alappuzha Punnamada Lake Day 3 – Alappuzha to Kovalam Tourist Spots/Places in Kovalam Kovalam Beach Day 4 – Alappuzha to Thiruvananthapuram Tourist Spots/Places in Thiruvananthapuram Sree Padmanabhaswamy Temple Attukal Bhagvathy Temple Museums and Zoos Locations/Destinations in Hidden Gems of Kerala Tour Package - 4D3N Alappuzha: Alappuzha also referred as Alleppey. It is a city in Alleppey District of Kerala State in India. The word Alappuzha means land which is between Sea and network of rivers. One of the most beautiful cities of Kerala, Alleppey is also known as “Venice of the East”. At Alappuzha, one will find beaches, backwaters, springs, canals.The most attractive and loved part of Alleppey is its backwaters and is the reason tourists visit Alleppey in big numbers. The backwaters join Kumarakom in the East, Cochin towards the North and Quilon to the South. The annual boat race at Alappuzha named Nehru Trophy Boat Race which happens on Punnamada Lake is well known around the world. The race takes place on the second Saturday of August every year.This race is very interesting and fun to watch and an opportunity to watch the great boat race stars as they more or less“fly” the boats. Owing to its proximity to the sea, the climate of Alappuzha is humid and hot during the summer, although it remains fairly cool and pleasant during the months of October to December. Kochi: The beautiful port city of Kochi was formerly called Cochin. It is an important seaport of India. Kochi is located in the Ernakulam district of Kerala.Kochi plays an important role not just in today’s economy of the state of Kerala but also in the economic history of Kerala. It is one of the finest natural harbors in the world. Kochi is the place where one can find a wonderful mix of history and natural beauty. Lush mangroves, coconut trees reflected in the translucent waters of backwaters, ancient churches, cathedrals, and for - tourists on sightseeing tours of Cochin would find all these and more. Flanked by the Western Ghats on the east and the majestic looking Arabian Sea in the west, Kochi occupies a very strategic location and has been a significant trading zone and attractive tourist destination since time immemorial. Kovalam: Kovalam is an internationally renowned beach with three adjacent crescent beaches. It has been a favorite haunt of tourists, especially Europeans, since the 1930s. A massive rocky promontory on the beach has created a beautiful bay of calm waters ideal for sea bathing.The leisure options at this beach are plenty and diverse. Sunbathing, swimming, herbal body toning massages, special cultural programmes and catamaran cruising are some of them. The tropical sun acts so fast that one can see the faint blush of coppery tan on the skin in a matter of minutes. Life on the beach begins late in the day and carries on well into the night. The beach complex includes a string of budget cottages, Ayurvedic health resorts, convention facilities, shopping zones, swimming pools, Yoga and Ayurvedic massage centers.Accommodation facility for tourists at Kovalam ranges from five-star hotels to budget hotels and the choice of food is available at restaurants and cafeteria ranges from Continental varieties to South Indian tastes. Thiruvananthapuram: Thiruvananthapuram (or Trivandrum as it was known before) is built on hills by the sea shore and sandwiched between the Western Ghats and the Arabian Sea. 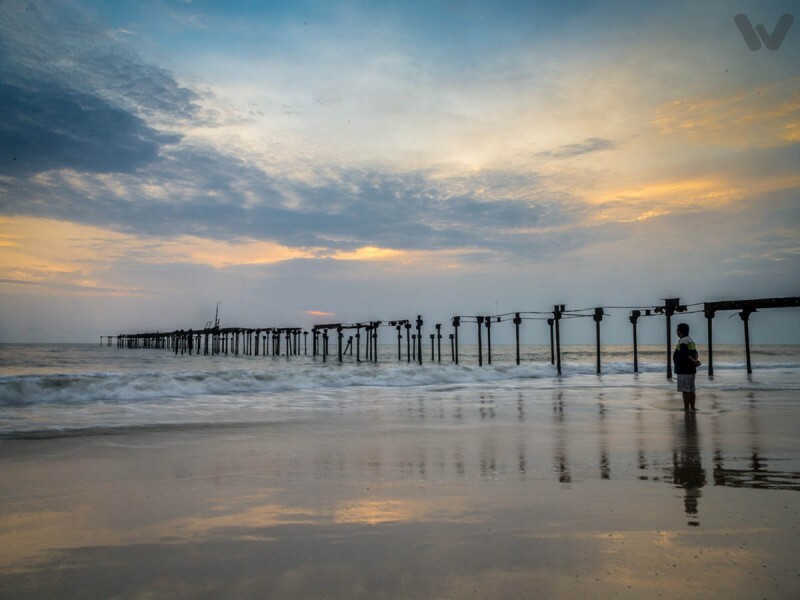 Thiruvananthapuram is ranked first in the number of foreign tourists visiting Kerala and is a fascinating destination for holidaymakers.The best time to visit Trivandrum is between October and February, the perfect time for beach vacations. February to May is summer, which is very hot and humid while June to September is the monsoon season. The second rainy season, the North-East monsoon, is equally strong and occurs during the months of October and November.The festival of Onam which occurs towards the end of August or early September is a good time to soak up the carnival atmosphere. There are usually many cultural programs during the official Onam celebrations lasting 10 days. Tourist Spots in Hidden Gems of Kerala Tour Package - 4D3N Guruvayur Temple: Guruvayur Temple is the abode of god Krishna, located in the town of Guruvayur. It is one of the most important places of worship for Hindus of Kerala and is considered as the Holy Abode of Vishnu on Earth. It is claimed that the deity is worshipped here for more than 5000 years old but there are no records to prove it. The earliest temple records date back to the 17th century. It is one of the five famous Krishna/Vishnu temples in India. The idol is made of the stone known as black antimony and is a magnetic stone said to have special medicinal properties. The water from the temple, consecrated with mantras is poured over the idol for his ritual bath. This holy water is then eagerly drunk by the devotees since it is said to contain a little of the miraculous properties of the stone of which the idol is made. The entire life of this town revolves around the temple and there is very little activity beyond what is connected with the temple even though there are a few other noteworthy temples in the area. Anathavalam: Punathur Palace is also known as Anakkotta or Anathavalam which is the largest elephant sanctuary in India. It is a part of Guruvayoor Sri Krishna Temple and is owned and operated by GuruvayoorDewasam Board, Govt. of Kerala.Punathur Palace is a fort and was a former palace. But the palace grounds are now used to house the elephants belonging to the Guruvayoor temple, and has been renamed Anakkotta which means "Elephant Fort". This Elephant Camp is one of its kinds in the world and is considered to be one of the largest elephant sanctuaries that house more than 60 elephants. The elephants are ritual offerings made by the devotees of Lord Guruvayurappa. This facility is also used for the training of elephants so as to serve Lord Krishna as well as participate in many festivals that occur throughout the year. It is also a training ground for Mahout. This complex also houses a temple dedicated to Lord Shiva and Bhagavathy. Punnamada Lake: Punnamada Lake, aka Punnamada Kayal, is an extension of the Vembanad Lake. The lake is acclaimed for the famous boat race called Nehru Trophy boat race hosted here. This breathtaking lake spread over the Kuttanad region in the Alappuzha district. It attracts a large number of tourists during the festive season of Onam. During this period a large number of tourists flock around this mesmerizing lake to witness the famous snake boat race. This Kayal leads to the biggest backwater body in the State, 'Vembanad Kayal'. Hundreds of well-appointed Houseboats are available to cater to the taste and requirements of the tourist. Houseboats, or kettuvallam as they are locally called, are a great way to explore the famed backwaters of Kerala. On either side of the Kayal, you get to see and experience the village life. Most of the inhabitants here are fishermen. Tourists prefer the homely arrangement over the Star hotels and one can lift their spirit with the help of Toddy, which is a local brew. 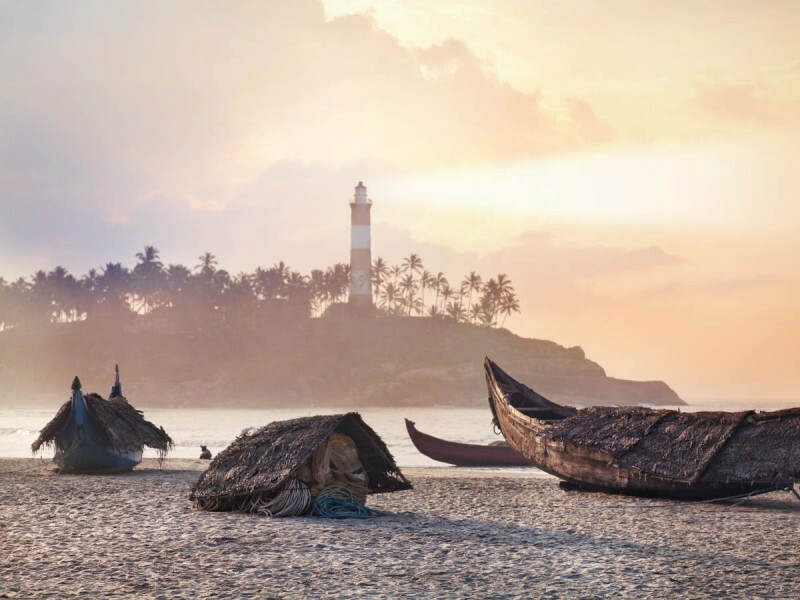 Kovalam Beach: Kovalam has three beaches separated by rocky terrains in its 17 km coastline, the three together form the famous crescent of the Kovalam beach. The three beaches are the Lighthouse, Hawah, and Samudra, in which Lighthouse is the largest. Lighthouse Beach got its name due to the old Lighthouse located on top of a hillock. Hawah beach is also called as Eve's beach, ranks second. Samudra ranks the third. Majority of the tourism and trade happen on the Lighthouse and Hawah beaches. Options for leisure in the beach are plenty and different. Sunbathing, swimming, herbal body toning massages, special cultural programs and catamaran cruising are the few among activities happening here. Life here on beach begins on midday and carries on till night. The beach complex consists of an array of budget cottages, Ayurvedic health resorts, convention facilities, shopping zones, swimming pools, Yoga and Ayurvedic massage centers. This beach is the best place to forget everything and enjoy life to its fullest. Sree Padmanabhaswamy Temple: The principal deity Vishnu is enshrined in this temple and is famous for being the wealthiest temple in the country. Temple is located in Thiruvananthapuram and is one of the most famous temples in India. The temple is built in an intricate fusion of the indigenous Kerala style and the Dravidian style of architecture. This beautiful structure is a reservoir of peace and spiritual enlightenment. It is a true architectural marvel.The temple has 9 entrances signifying 9 orifices of our body. The majestic black idol of Lord Vishnu is made of 12,008 Salagramas or sacred stones. The deity is enshrined in the "Anantha Shayanam" posture, the eternal yogic sleep on the serpent Adisheshan.Even though the principal deity is Lord Vishnu, idols of several other deities are also present. The temple celebrates a ritualistic festival called Laksha Deepam, once in 6 years, which involves lighting of one hundred thousand lamps. It is by far the wealthiest institution and place in the recorded history. Attukal Bhagvathy Temple: The Attukal Bhagavathy Temple is a Hindu religious shrine at Attukal in Trivandrum. The Goddess Kannaki aka Parvathi is the main deity in this temple. The temple is renowned for the annual Attukal Pongala festival, in which over millions of women participate.Kannaki is considered to be the supreme preserver and destroyer and cares for her devotees like a mother does for her children. For the devotees, Attukal Devi is the supreme power, capable of delivering all the wishes of her devotees. A festival that has found its way into the Guinness Book of World Records for being the single largest gathering of women for a religious activity. Devotees from all parts of India come and bow before the all powerful goddess, seeking an end to their afflictions and to receive blessings.The temple is just 2 Km from the main city of Thiruvananthapuram and is housed at a rural-like area, even though the surroundings are highly urbanized. Museums and Zoos: One of the first zoos in India, this Zoological Park in Thiruvananthapuram district, was established in early 1859 by the Maharaja of Travancore. It is the oldest zoo in India an Asia. Housed in a well-planned botanical garden with an area of 55 acres this a beauty to behold. Home to about 82 species from across the globe, the zoo includes native species like the lion-tailed macaque, Indian rhinoceros, Nilgiri langur, royal Bengal tiger, Asiatic lion, and leopard, along with nine Asian elephants. Some animals like giraffes, zebras, hippos, and Cape buffaloes are even brought down from Africa to this zoo. There is also a snake farm in the zoo showcasing both venomous and non-venomous snakes.The objectives of the zoo are as follows; Wildlife preservation with particular reference to the endemic and endangered species in the Western Ghats. The Thiruvananthapuram Zoo (Trivandrum) is a perfect way to spend a couple of hours in the city, especially if you are traveling with kids. Kovalam Kanyakumari Tour Package Kerala also known as the “God’s Own Country”, is an attractive state situated at the southern corner of India offers a vacation filled with tranquillity. One can explore the mystical land of Kerala and have a beautiful, renewing and a satisfying experience. Kovalam Kanyakumari Tour Package Starting from 11,500.00 for two people. Destinations Include Kovalam, Poovar, Thiruvanathapuram, Kanyakumari Includes Transfer from Thiruvanathapuram to Thiruvanathapuram 3 Star Accommodation, Breakfast, Sightseeing. Kovalam Kanyakumari Tour Package3 Days 2 Nights starting from 11500.Destination Kovalam, Kanyakumari, Thiruvananthapuram. Pick up and drop it Thiruvananthapuram. Include 3-star accommodation, Breakfast, Sightseeing. Itinerary for Kovalam Kanyakumari Tour Package Day 1- Thiruvananthapuram to Kanyakumari Tourist Spots/Places in Kanyakumari Vivekananda Rock Memorial Thiruvalluvar Statue Gandhi Mandapam Sunset Point Road View Tower Day 2- Kanyakumari to Kovalam Tourist Spots/Places in Kovalam Suchindram Thanumalayan Temple Poovar Backwater Light House Beach Kovalam Beach Day 3 – Kovalam to Thiruvananthapuram Tourist Spots/Places in Thiruvananthapuram Sree Padmanabhaswamy Temple Attukal Bhagvathy Temple Locations /Destinations in Kovalam Kanyakumari Tour Package: Thiruvananthapuram: Thiruvananthapuram (or Trivandrum as it was known before) is built on hills by the sea shore and sandwiched between the Western Ghats and the Arabian Sea. Thiruvananthapuram is ranked first in the number of foreign tourists visiting Kerala and is a fascinating destination for holidaymakers.The best time to visit Trivandrum is between October and February, the perfect time for beach vacations. February to May is summer, which is very hot and humid while June to September is the monsoon season. The second rainy season, the North-East monsoon, is equally strong and occurs during the months of October and November.The festival of Onam which occurs towards the end of August or early September is a good time to soak up the carnival atmosphere. There are usually many cultural programs during the official Onam celebrations lasting 10 days. Kovalam: Kovalam is an internationally renowned beach with three adjacent crescent beaches. It has been a favorite haunt of tourists, especially Europeans, since the 1930s. A massive rocky promontory on the beach has created a beautiful bay of calm waters ideal for sea bathing.The leisure options at this beach are plenty and diverse. Sunbathing, swimming, herbal body toning massages, special cultural programmes and catamaran cruising are some of them. The tropical sun acts so fast that one can see the faint blush of coppery tan on the skin in a matter of minutes. Life on the beach begins late in the day and carries on well into the night. The beach complex includes a string of budget cottages, Ayurvedic health resorts, convention facilities, shopping zones, swimming pools, Yoga and Ayurvedic massage centers.Accommodation facility for tourists at Kovalam ranges from five-star hotels to budget hotels and the choice of food is available at restaurants and cafeteria ranges from Continental varieties to South Indian tastes. Kanyakumari: Kanyakumari or Cape Comorin a coastal town in the state of Tamil Nadu on India's southernmost tip. is popular for a destination for the famous sunrises and sunsets over the ocean.The point also known as Sangam is the confluence of the 3 seas.It's also a pilgrimage destination hosting a Bagavathi Amman Temple, dedicated to a consort of Shiva, and its Our Lady of Ransom Church, a center of Indian CatholicismKanyakumari is bordered by the Laccadive or the Lakshadweep Sea in all directions. The beaches around the region are serene and pristine attracting huge populace of tourists all year round. The Vivekananda rock memorial and the Thiruvallar statue are sights to witness when in Kanyakumari. Ferries are available to reach the Vivekananda rock memorial. Tourist Spots in Kovalam Kanyakumari Tour Package: Vivekananda Rock Memorial: The magnificent Vivekananda Rock Memorial is situated at Kanyakumari and is an undying source of inspiration to the nation.The Vivekananda Memorial has been built for the memorial of Swami Vivekananda by Shri Ekanthji Ranade, whose devotion to the work he had undertaken was inspired not by mere faith but by intellectual conviction.At Kanyakumari, the memorial stands as a unique symbol of unity and purity. Furthermore, it stands as a symbol of the united aspiration of Nation.In the Memorial, there is a happy and harmonious blend of all the architectural beauty of the country. It is a symbol of unity because the whole nation wished, worked and contributed to it. The people from all states of India had participated in its inauguration. Thiruvalluvar Statue: The Thiruvalluvar statue gives patronage to the famous Tamil poet and saint Thiruvalluvar. This famous attraction of Kanyakumari was opened for public access on the first day of the new millennium i.e. January 1, 2000.The statue is situated at a distance of 400 m from the city’s coastline on a small island rock. Its total height is 133 feet.It is one of the biggest statues in India located on a small island in Kanyakumari, nearby the confluence of the Arabian Sea, Bay of Bengal and the Indian Ocean.The statue stands on a 3 – tier pedestal, known as Atharapeedam. Atharapeedam is surrounded by the 38 feet high Alankara Mandapam. There are ten elephant statues surrounding the Alankara Mandapam that symbolize the ten directions – eight for the earth, one for the sky and one for space below.The statue can be easily accessed by a ferry available from the mainland. Thiruvalluvar Statue is a popular tourist spot in Kanyakumari. 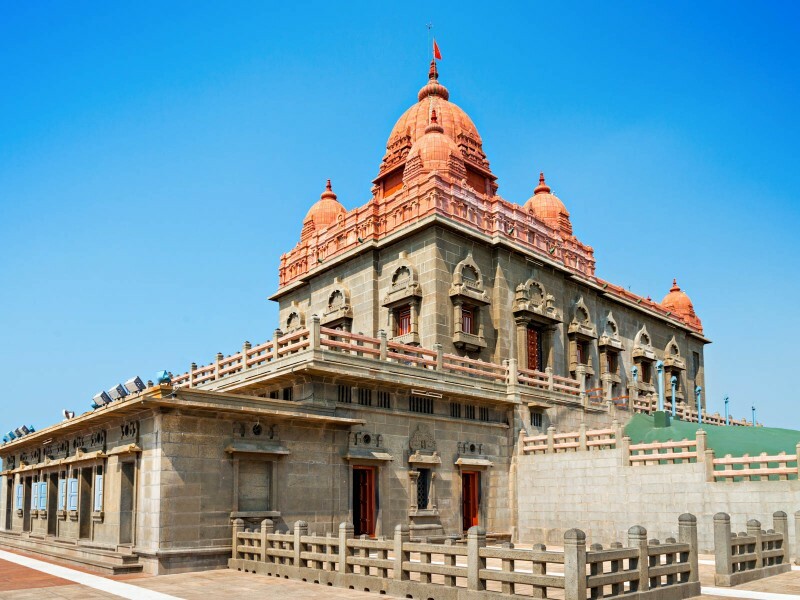 Gandhi Mandapam: The Gandhi Mandapam is a major tourist attraction in Kanyakumari.When Mahatma Gandhi was cremated, his ashes were collected into 12 different urns and scattered throughout the country. The urn that was brought to Kanyakumari was kept at a spot inside the memorial before immersion. The sun’s rays shine through a small hole in the roof to the same spot on 2nd October every year.The entry to the memorial is free, however, visitors are requested to maintain silence to preserve the sanctity of the place. A popular activity is to visit the roof of the memorial to get a panoramic view of the ocean. Sunset Point Road: Kanyakumari in Tamil Nadu is the place where the Bay of Bengal, the Arabian Sea, and the Indian Ocean meet. It has a fascinating fishing village full of vibrant colors and very Catholic and in the middle of all this are the Hindu pilgrimage sites with many devotees from both south and north India arriving daily. After seeing all of Kanyakumari you would love most of all is the incredible sunrise and sunsets even though every corner is crowded with people doing the same routine. The Sunset Point of Kanyakumari is a must visit place for every traveler. View Tower: Kanyakumari in Tamil Nadu is the place where the Bay of Bengal, the Arabian Sea, and the Indian Ocean meet. It has a fascinating fishing village full of vibrant colors and very Catholic and in the middle of all this are the Hindu pilgrimage sites with many devotees from both south and north India arriving daily. After seeing all of Kanyakumari you would love most of all is the incredible sunrise and sunsets even though every corner is crowded with people doing the same routine. The Sunset Point of Kanyakumari is a must visit place for every traveler and the best place to view it is from the View tower. Suchindram Thanumalayan Temple: The temple is located in the district of Kanyakumari in Tamil Nadu. The temple which was built in the 17th century is famous for its beautiful sculptures. The main deities that are worshipped in the temple are Lord Shiva, Lord Vishnu, and Lord Brahma. The temple stands as a marvel of architecture and is famous for four musical pillars that have been carved out of a single stone. When struck upon the pillars emit a musical note. The temple is unique as it represents the three Hindu gods within a singular temple. There is a 10-day festival that is conducted between December and January; this attracts locals and other followers from all over India. Poovar Backwater: Poovar beach has become a major attraction for its cleanliness. Local people and fishermen avoid this beach because it is difficult to access. Therefore this beach is very peaceful.The main attraction of Poovar beach is its golden colored sand. Poovar Beach is an excellent destination for relaxing and cherishing the exotic beauty of the beach. This beach is solely dedicated to relaxation. The authentic views of this beach also attract a large number of visitors from all over the world. Only activity one can engage here in this beach is swimming. Rest of the beach activities are neither supported but neither government nor any private parties. Therefore it isn't an ideal beach for those who seek adventure. One can lose the track of time by gazing away into the horizon and cherishing the beauty of this beach. Light House Beach: The largest among the beaches in Trivandrum is the Light House beach, a must visit the beach of Kovalam. Lighthouse beach is named after the 30-meter high Lighthouse here which is the important feature of this beach. The Light House is located towards the southern end of the beach Installed atop the palm-covered Kurumkal Hill protruding out to sea. Visitors are permitted to climb the spiraling staircase inside to the top of the red and white tower and enjoy a spectacular view of the surrounding There is an observation platform from which you can see Poovar in one direction and the famous Beemapalli mosque on the other. A total of 142 steps have to be climbed to reach this platform.It is a perfect location for various adventure sports such as swimming, surfing, parasailing, and paragliding. This beach is also one of the preferred honeymoon destinations in Kerala. Couples can together indulge in the adventure sports here. The water has the perfect temperature to keep swimming in the beach a highly enjoyable. Kovalam Beach: Kovalam has three beaches separated by rocky terrains in its 17 km coastline, the three together form the famous crescent of the Kovalam beach. The three beaches are the Lighthouse, Hawah, and Samudra, in which Lighthouse is the largest. Lighthouse Beach got its name due to the old Lighthouse located on top of the hillock. Hawah beach is also called as Eve's beach, ranks second. Samudra ranks the third. Majority of the tourism and trade happen on the Lighthouse and Hawah beaches. Options for leisure in the beach are plenty and different. Sunbathing, swimming, herbal body toning massages, special cultural programs and catamaran cruising are the few among activities happening here. Life here on beach begins on midday and carries on till night. 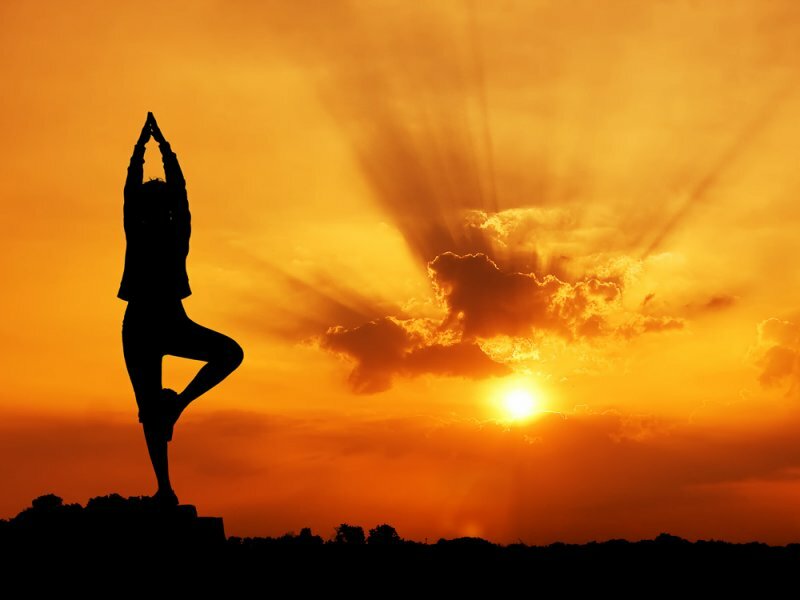 The beach complex consists of an array of budget cottages, Ayurvedic health resorts, convention facilities, shopping zones, swimming pools, Yoga and Ayurvedic massage centers. This beach is the best place to forget everything and enjoy life to its fullest. Sree Padmanabhaswamy Temple: The principal deity Vishnu is enshrined in this temple and is famous for being the wealthiest temple in the country. Temple is located in Thiruvananthapuram and is one of the most famous temples in India. The temple is built in an intricate fusion of the indigenous Kerala style and the Dravidian style of architecture. This beautiful structure is a reservoir of peace and spiritual enlightenment. It is a true architectural marvel.The temple has 9 entrances signifying 9 orifices of our body. The majestic black idol of Lord Vishnu is made of 12,008 Salagramas or sacred stones. The deity is enshrined in the "Anantha Shayanam" posture, the eternal yogic sleep on the serpent Adisheshan.Even though the principal deity is Lord Vishnu, idols of several other deities are also present. The temple celebrates a ritualistic festival called Laksha Deepam, once in 6 years, which involves lighting of one hundred thousand lamps. It is by far the wealthiest institution and place in the recorded history. Attukal Bhagvathy Temple: The Attukal Bhagavathy Temple is a Hindu religious shrine at Attukal in Trivandrum. The Goddess Kannaki aka Parvathi is the main deity in this temple. The temple is renowned for the annual Attukal Pongala festival, in which over millions of women participate.Kannaki is considered to be the supreme preserver and destroyer and cares for her devotees like a mother does for her children. For the devotees, Attukal Devi is the supreme power, capable of delivering all the wishes of her devotees. A festival that has found its way into the Guinness Book of World Records for being the single largest gathering of women for a religious activity. Devotees from all parts of India come and bow before the all powerful goddess, seeking an end to their afflictions and to receive blessings. The temple is just 2 Km from the main city of Thiruvananthapuram and is housed at a rural-like area, even though the surroundings are highly urbanized.